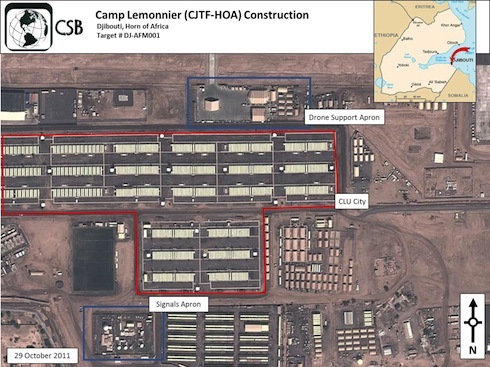 The Pentagon maintains a large military base in Djibouti at Camp Lemonnier where the U.S. Africa Command (AFRICOM) directs its operations in the region. An accident on a substandard boat resulted in the deaths of over 900 refugees from Africa, the Middle East and Asia on April 19. Many of the passengers seeking asylum in Europe were locked in the lower decks of the vessel, which was overloaded with people fleeing Africa from Libya. Only days earlier another boat had sunk with 400 victims. Although there was emigration from Africa and the Middle East to Europe prior to 2011, the crisis has recently surpassed anything seen in recent history. Just since the beginning of 2015, it is estimated that over 1,800 people have died in the Mediterranean en route to southern Europe. These events are treated in most of the corporate media as tragic accidents. But the full responsibility for these tragic deaths lies with world imperialism. 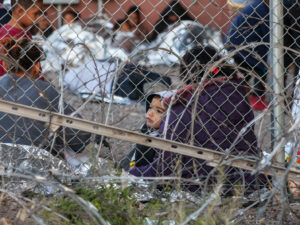 Globalization and climate change have sharpened poverty throughout Africa and Asia, and NATO’s wars and proxy wars against Iraq, Syria and especially the 2011 war on Libya have directly doubled and tripled the number of people seeking asylum in Europe under desperate conditions. Four years ago, the United States and NATO engineered and carried out a dreadful war against the people of Libya, first by financing and coordinating counterrevolutionary militias to attack and seize cities and villages in the east of the country. The then-Jamahiriya government headed by Col. Moammar Gadhafi mobilized military forces and volunteers to take back areas overrun by the rebels. By March 19, the rebels were in retreat and the Pentagon-NATO alliance embarked upon a massive naval blockade, arms embargo and aerial bombardment of Libya, the most prosperous state in Africa at the time. After over seven months of bombing and rebel activity, the imperialists declared victory, placing in government many individuals who had not been in Libya for decades. Libya now has two rebel regimes claiming authority over the state, with additional militias a law unto themselves. The country’s economic status has deteriorated. Once chair of the African Union under Gadhafi, Libya is now a haven for criminal and reactionary tendencies. In addition to the destruction of Libya by the West, the Middle Eastern nation of Syria has been subjected to a similar destabilization campaign through a U.S.-NATO funded and strategically directed civil war, which has made millions refugees and prompted a mass exodus. Hundreds of thousands of additional internally displaced persons and refugees are relocating out of the East African states of Somalia, Ethiopia and Eritrea. 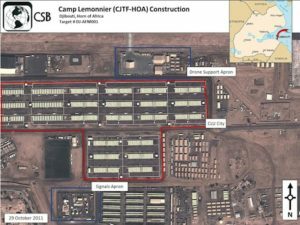 The Pentagon maintains a large military base in Djibouti at Camp Lemonnier where the U.S. Africa Command (AFRICOM) directs its operations in the region. Italian Prime Minister Matteo Renzi likened the current situation in the Mediterranean to the Atlantic Slave Trade because of the high percentage of refugees who die trying to reach Europe. Most migrants head toward Italy from Libya, as Italy’s island of Lampedusa, part of Sicily, is closest to the African ports. Wracked by high unemployment from the capitalist economic crisis, Italy has also had the migrant crisis dumped in its lap by the wealthier EU countries. Though Italian capitalism is part and parcel of the imperialist EU, out of desperation Renzi called on the EU bloc to make a “long-term investment” on the African continent. In Germany, the major EU power, the Angela Merkel government held a minute of silence in Parliament. She did not, however, even acknowledge that the EU forced Italy to cut back on its rescue missions of migrants by refusing to finance them. Nonetheless, at an emergency summit in Brussels, the EU called for the further militarization of the Mediterranean. Several countries, including Germany, held a meeting on April 23 where further assistance was requested to destroy the vessels that transport migrants. Such an approach will only cause more deaths as the migrants will seek even less secure crafts to cross the sea. 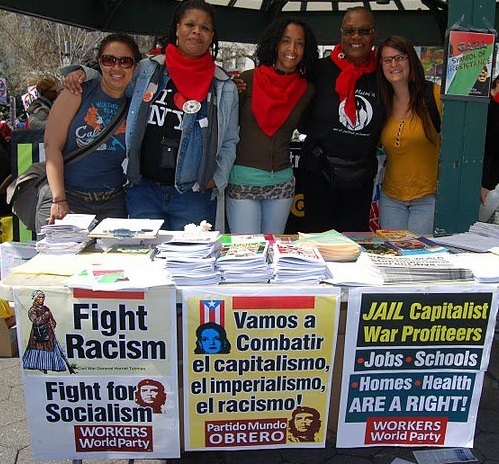 The problems stem from the crisis of world capitalism and burgeoning racism in the foreign policy of Western states. In attempts to control the regions of Africa, the Middle East and Asia, the U.S. and its allies are creating deeper crises through dislocations and deaths. Within Europe there is a fierce debate and political struggle over immigration from African and Asian states. Numerous political parties and fascist groups have sprung up to oppose migrants from countries in the South. The ruling parties in Europe and North America have also stepped up their attacks on migrants. 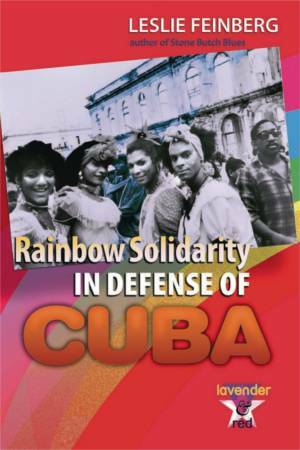 At the same time the wars of regime change utilizing aerial bombardments and surrogate armies are fueling the desperation and shattering of postcolonial nations and communities. In the U.S. the narrative surrounding the migration crisis is also framed in the context of criminality of those providing transportation to migrants for money. 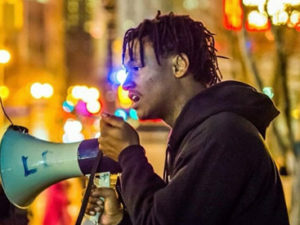 There is no acknowledgement that Wall Street, Washington and, in the last few years especially, NATO and the Pentagon have created the problem by making it impossible for people to survive in their home countries.